PERFECT POTTY BUDDY – Let’s face it: Potty training is a pain. 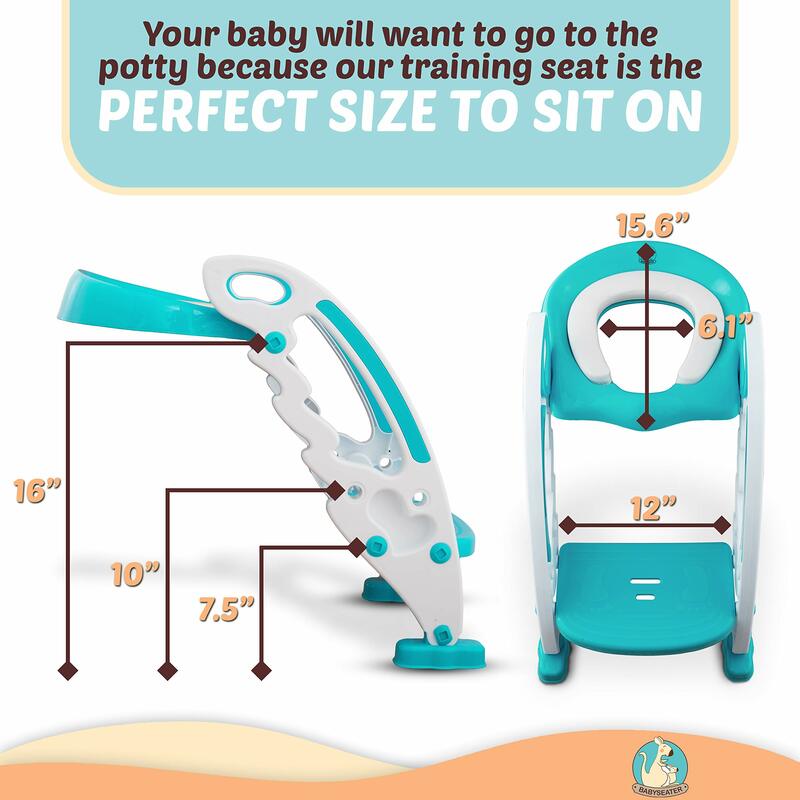 But BabySeater’s step potty training seat makes the process easier for you AND your kids! 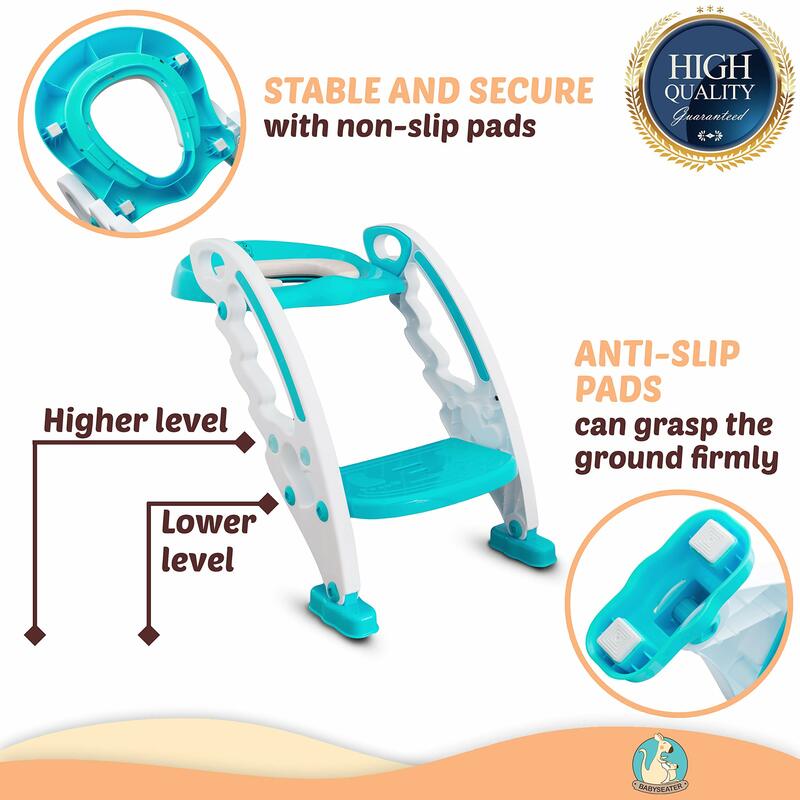 Kiddos stay safe with a secure toddler toilet seat with anti-slip pads. 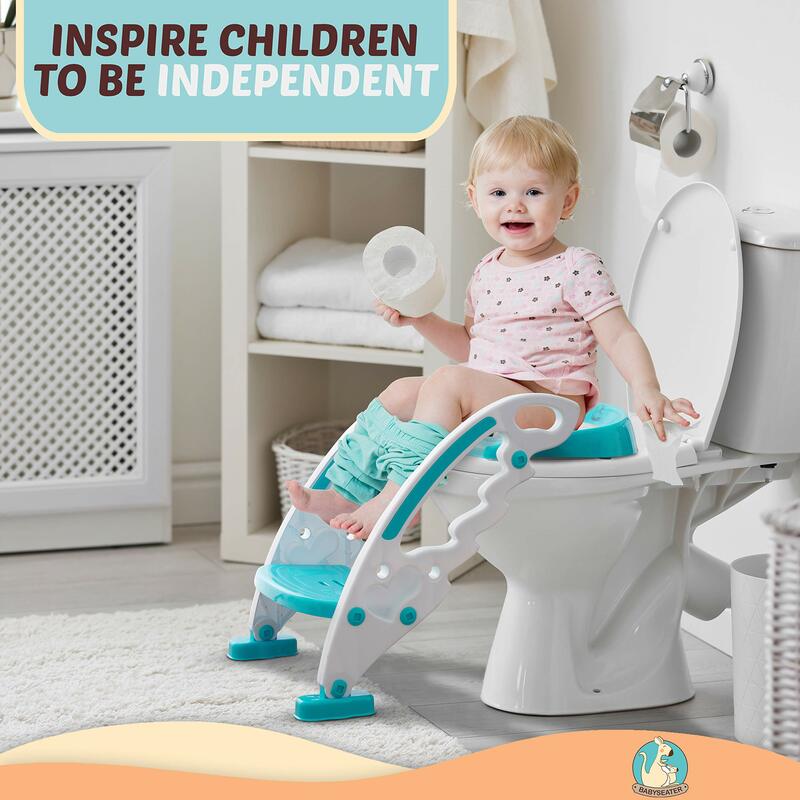 Your child will gain independence and learn quickly with these reliable potty training steps! 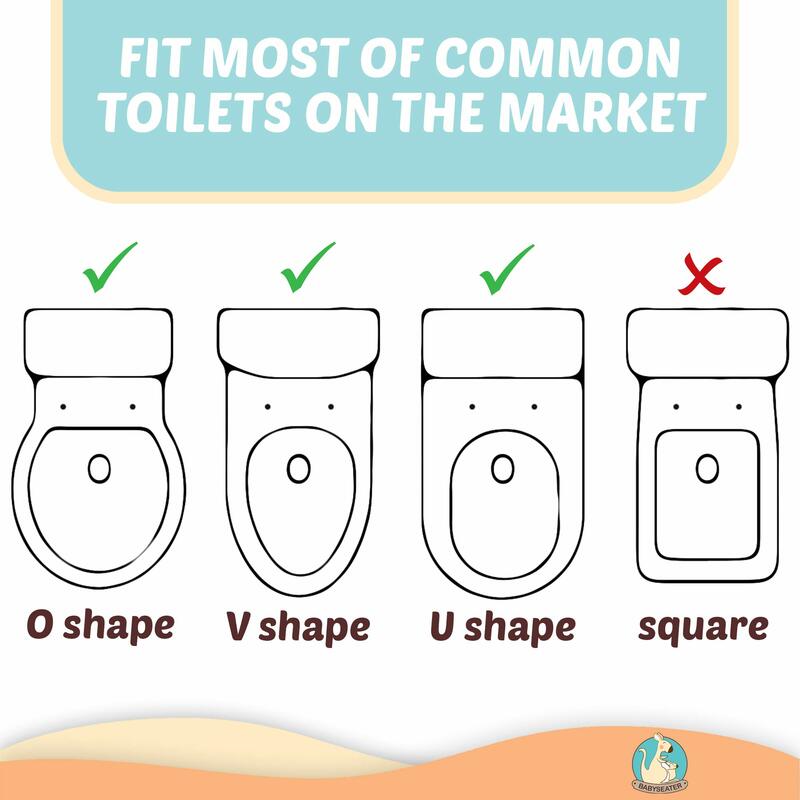 MEASURES UP – Pick the training potty that fits most bowl shapes and standard size toilets up to 16 inches. 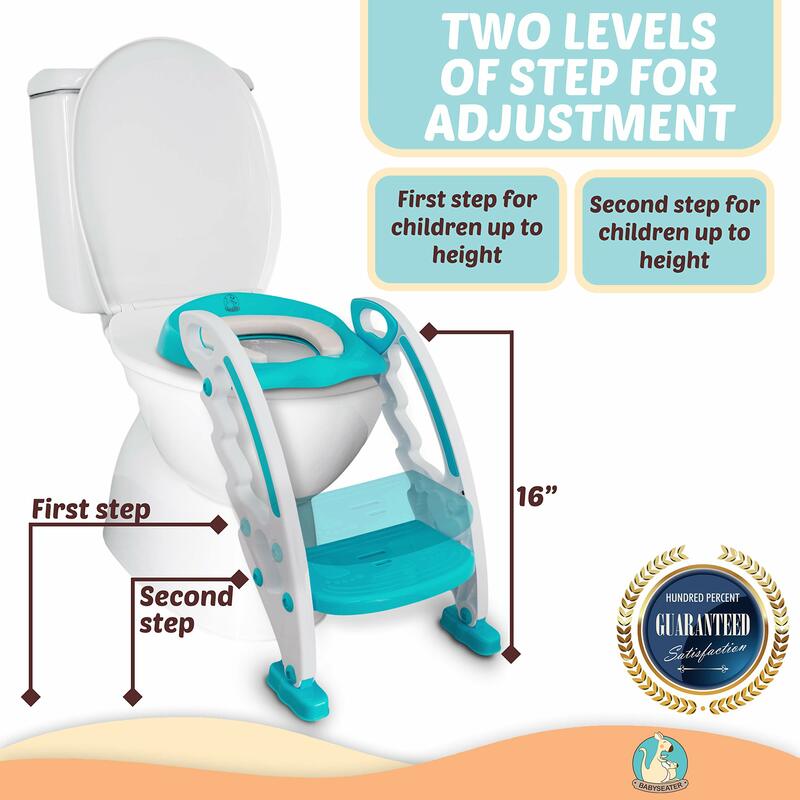 BabySeater’s toilet training seat with step stool is the perfect addition to a new parent’s bathroom! 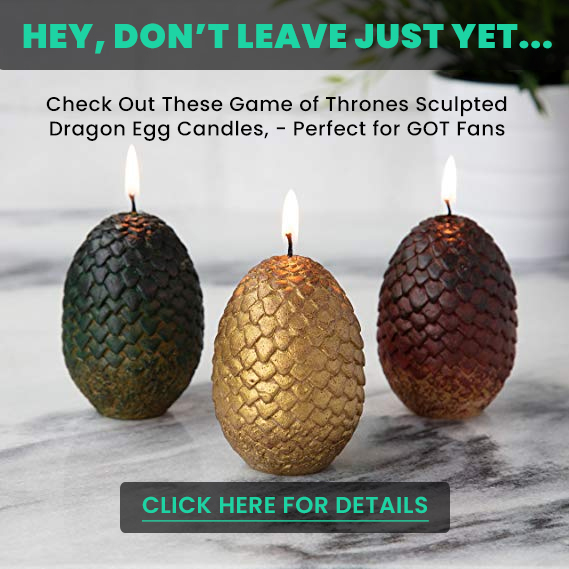 And when it’s not in use, simply fold it up and store it out of sight. 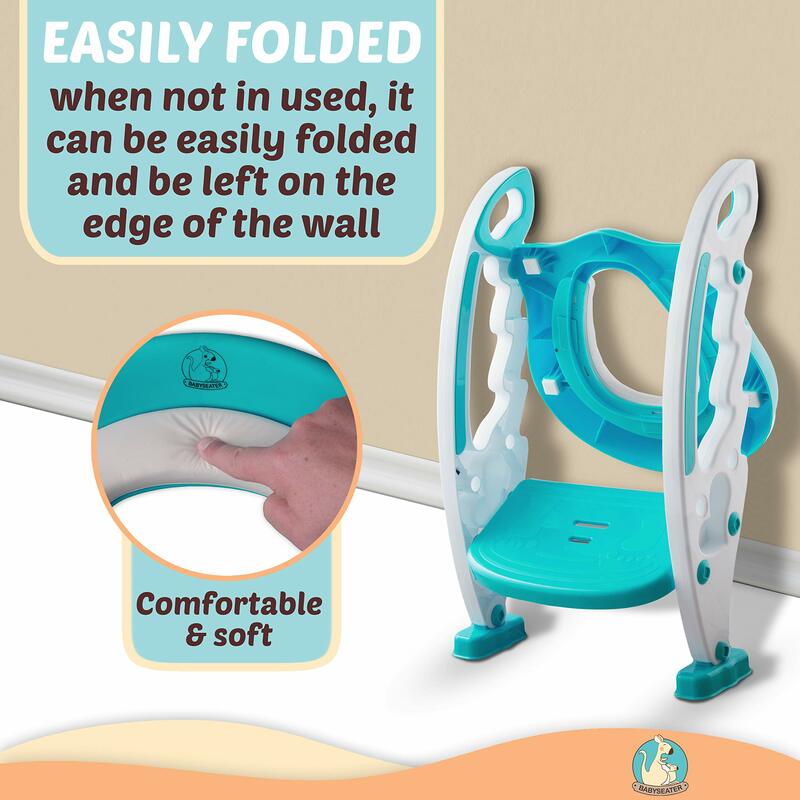 QUALITY COMFORT – Your tot may never want to leave this potty with its oh-so-soft seat cushion! He can safely sit without falling thanks to the adjustable toilet ladder. his feet don’t dangle, so he feels a sense of security, which is key when it comes to potty training! BETTER TRAINING BONUS GIFT – Positively encourage potty time with your FREE potty training reward chart! 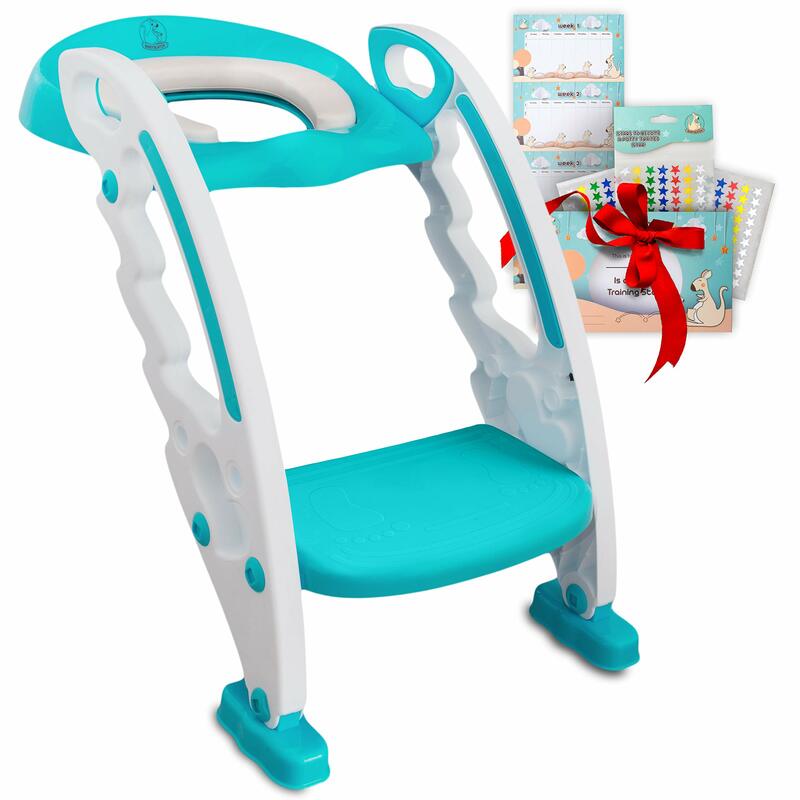 Toddlers will love watching their chart fill up with stickers as they learn to go with the BabySeater potty toilet seat with step stool ladder! OUR PROMISE – We promise you’ll get nothing but the best with BabySeater. That’s why your toilet training ladder with seat is backed by a lifetime warranty! Our top-notch customer service is by your side, every step of the way.